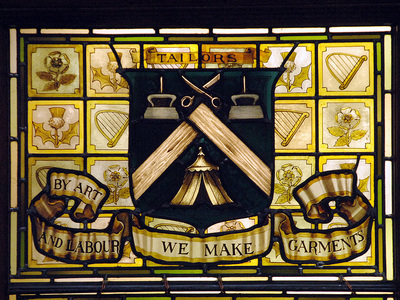 Please click the button below to visit the Trades House website. 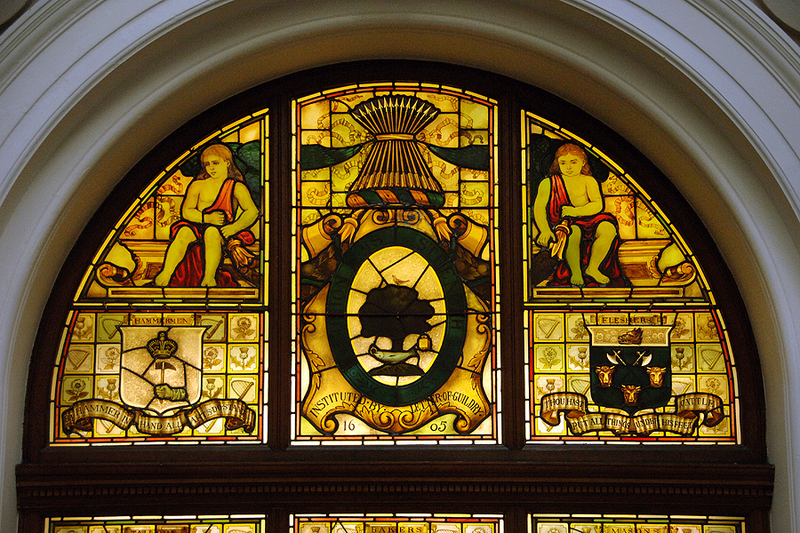 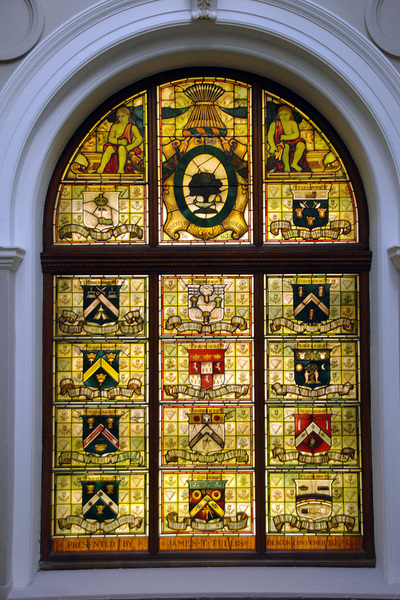 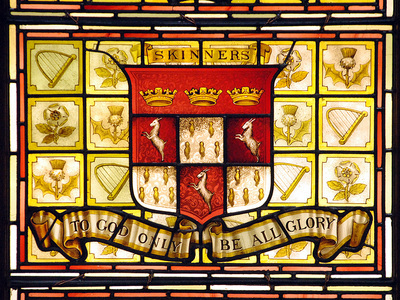 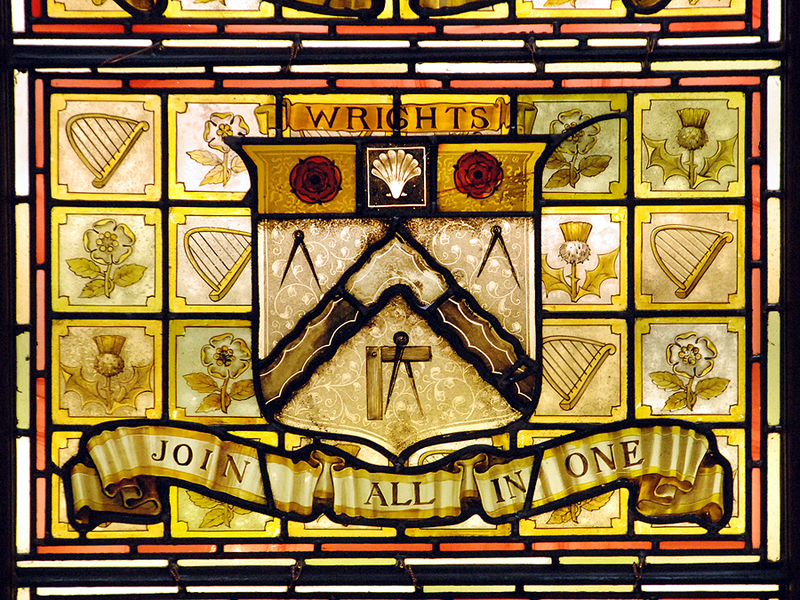 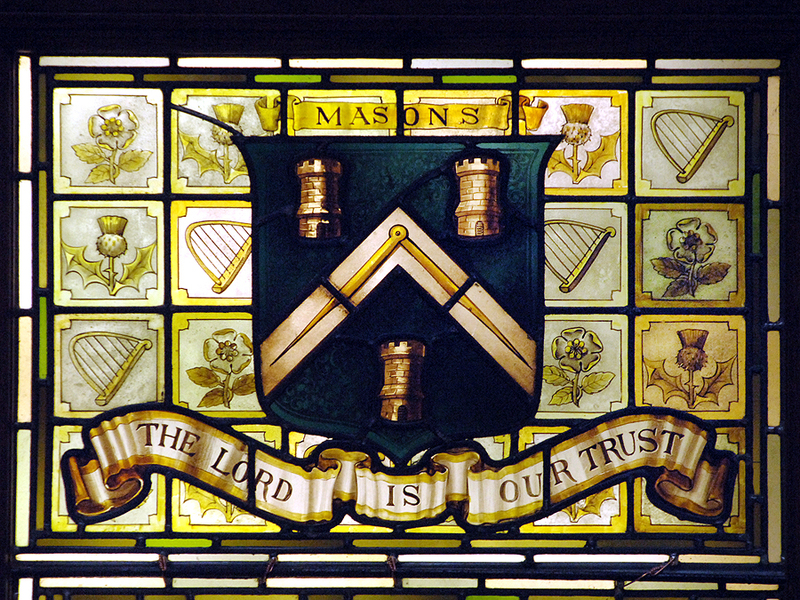 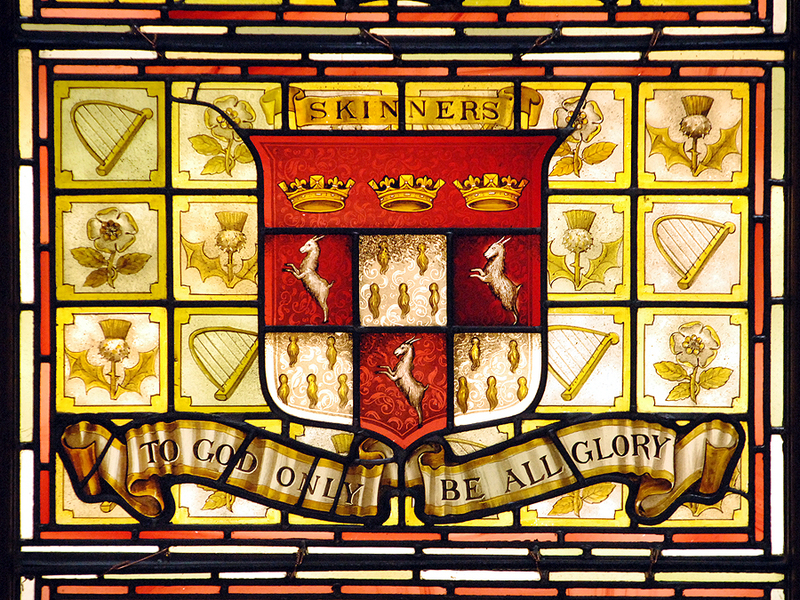 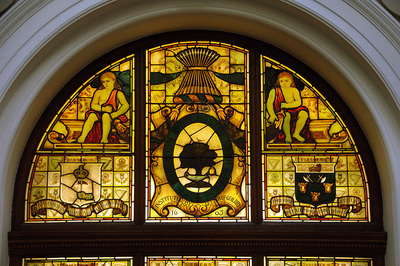 On the stairway up to the grand hall is a fabulous stained glass window showing the Coat of Arms of the 14 Incorporations. 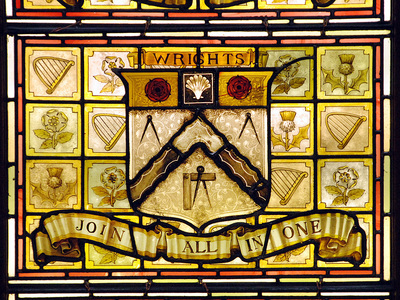 as they appeared in 1888. 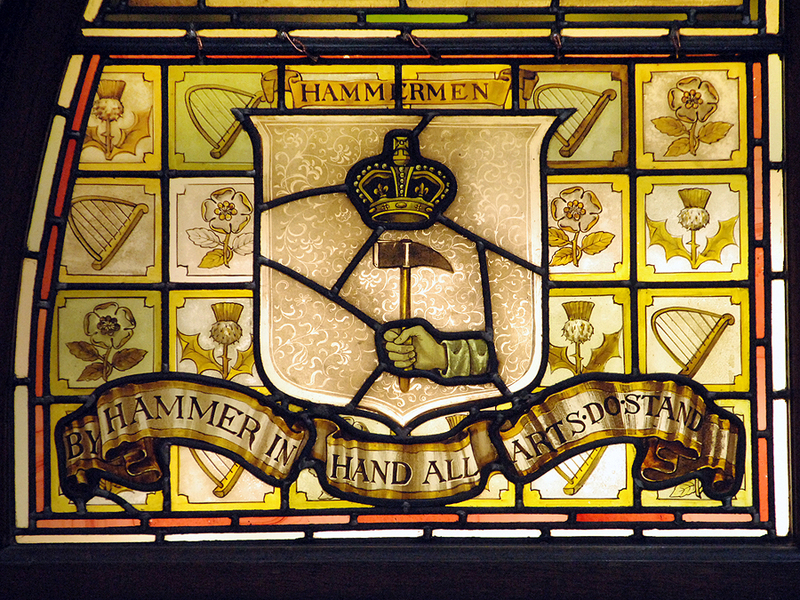 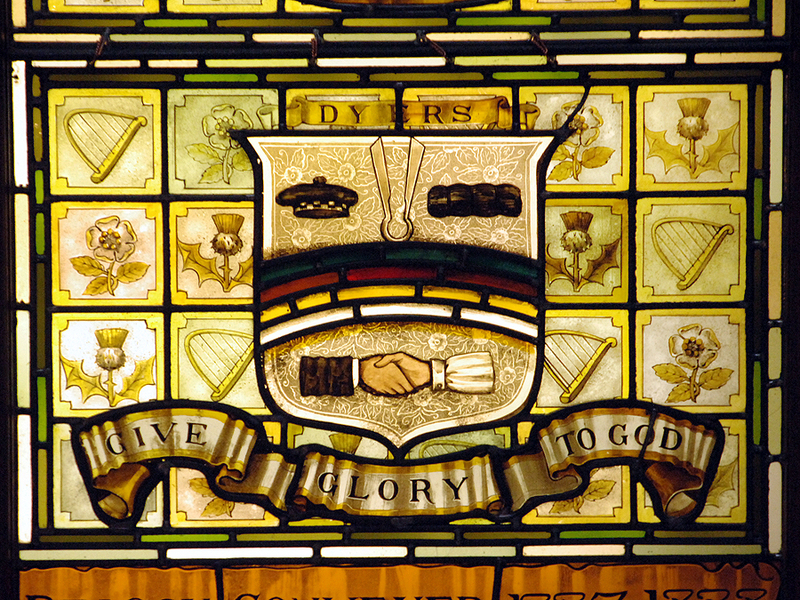 The background to each of the stained glass windows has the Thistle, for Scotland; the Rose for England and the Harp for Ireland. 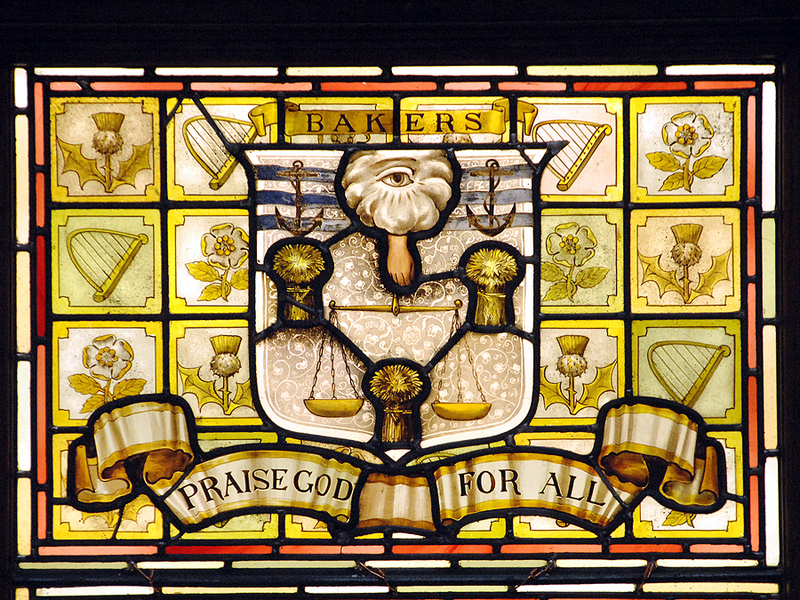 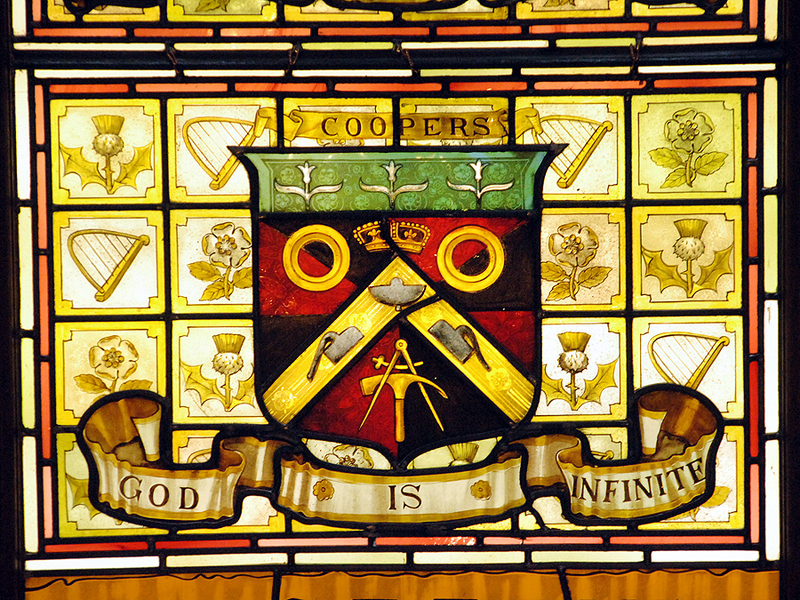 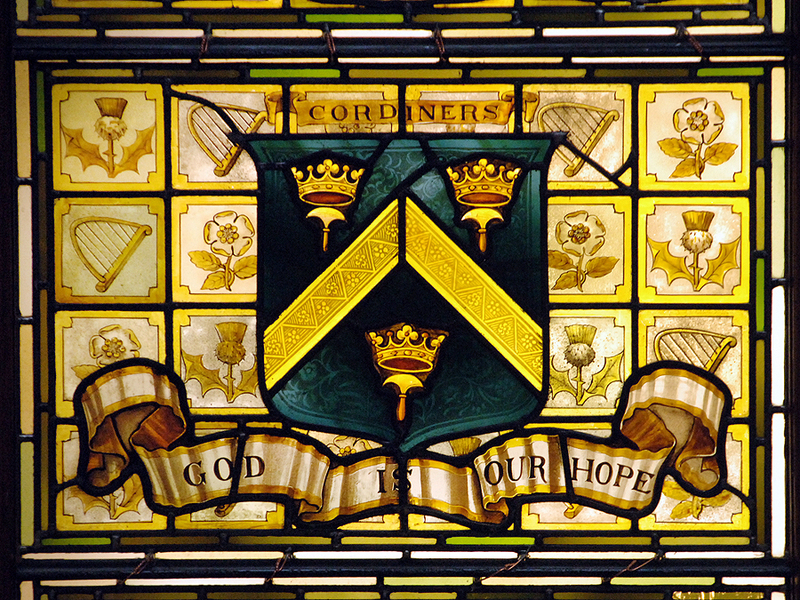 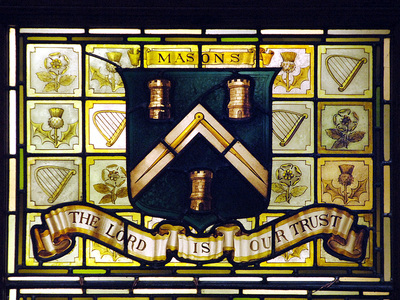 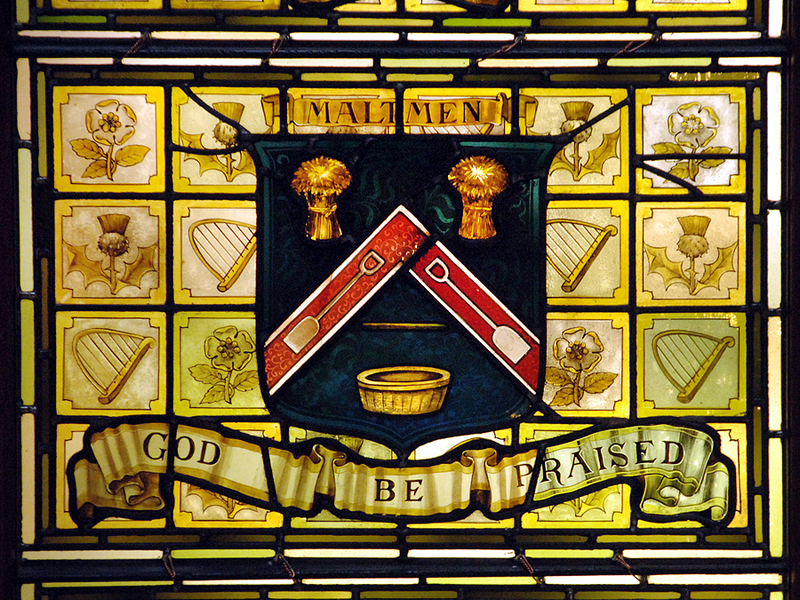 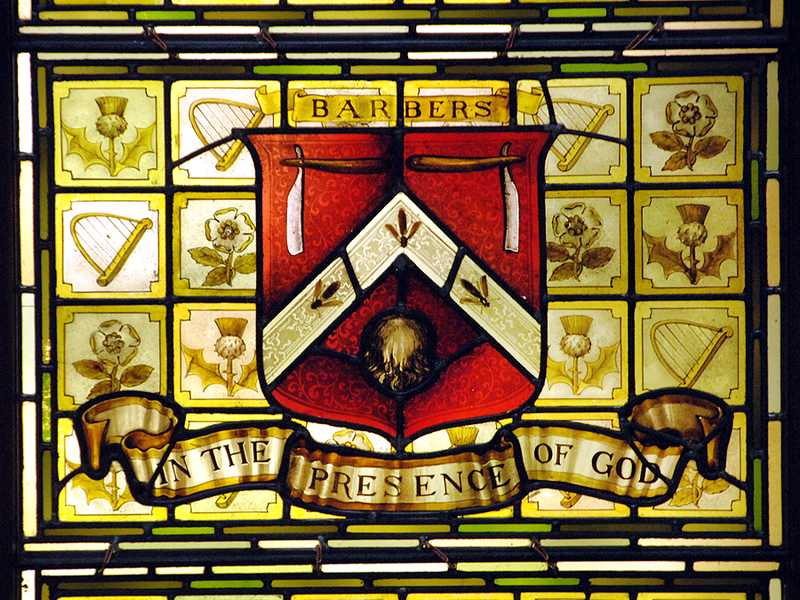 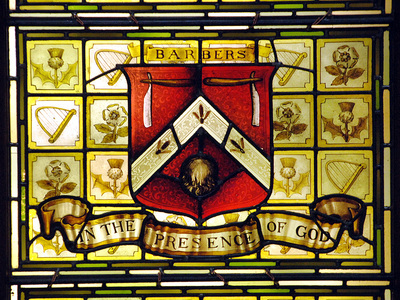 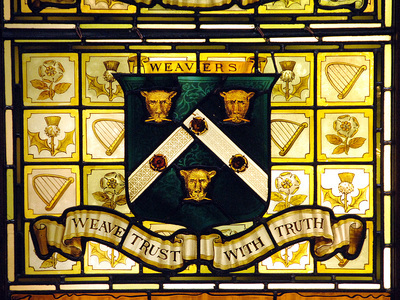 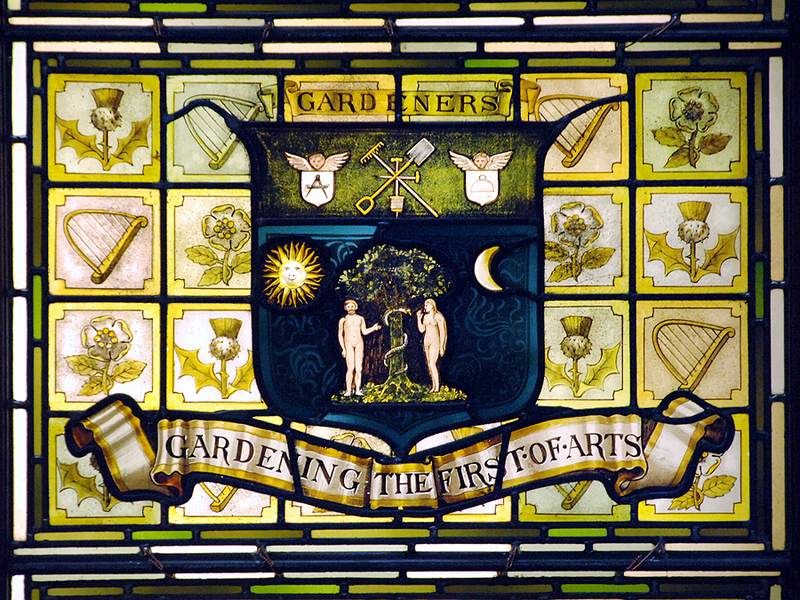 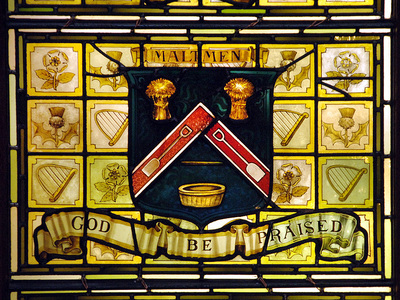 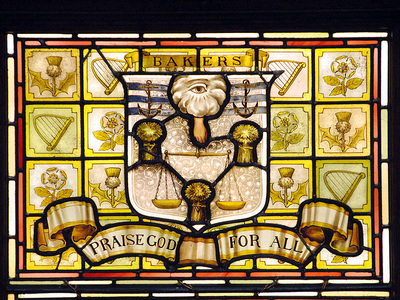 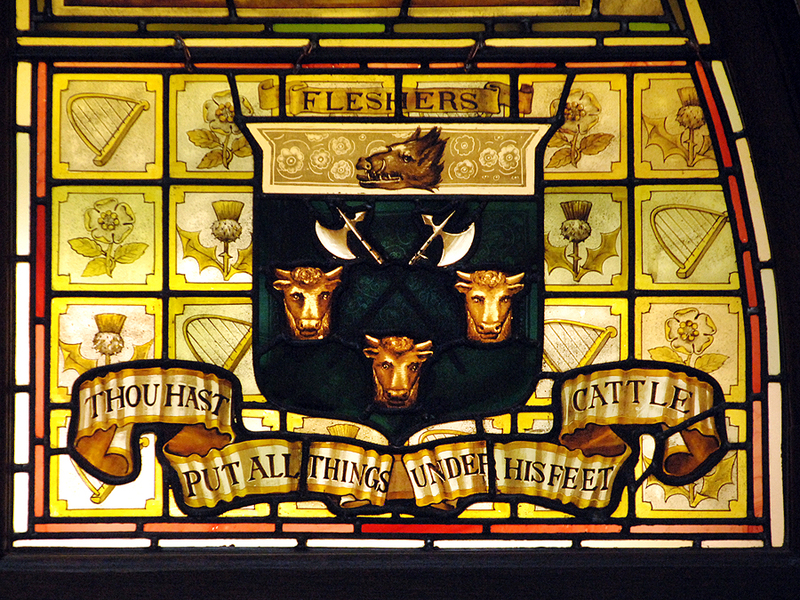 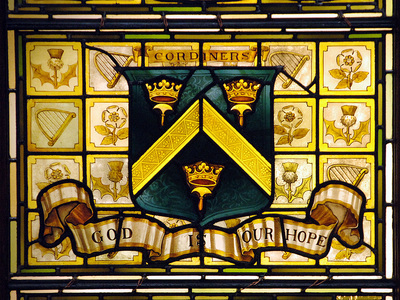 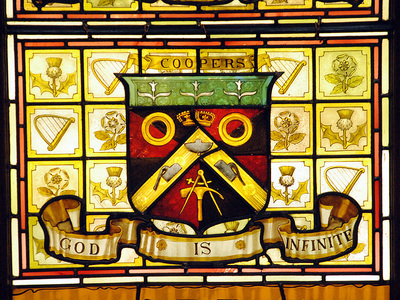 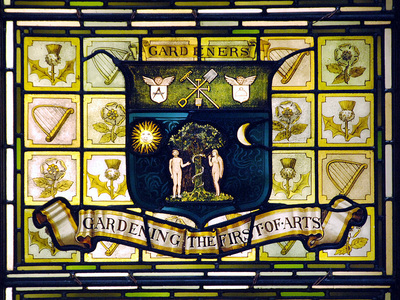 In the upper part of the window, the Trades House Arms appear with the inscription "Instituted by Letter of Guildry 1605", flanked by two seated boys. 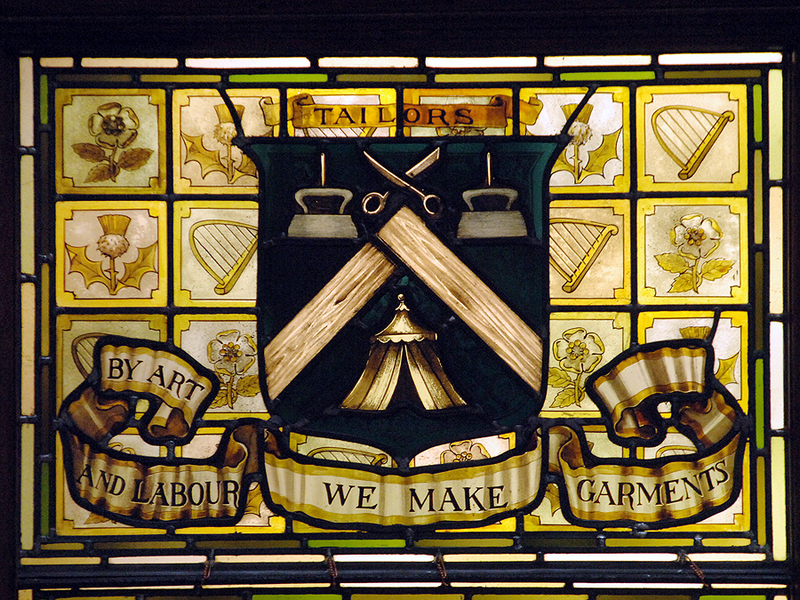 It is worth noting the mottos of each of the crafts which were made when people were much more religious.